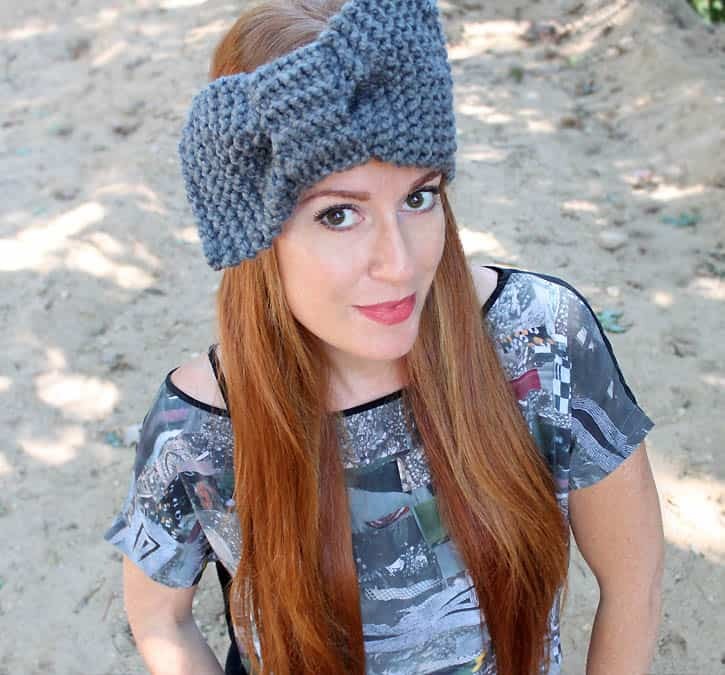 Today I’m going to share with you a pattern I created bow headband. 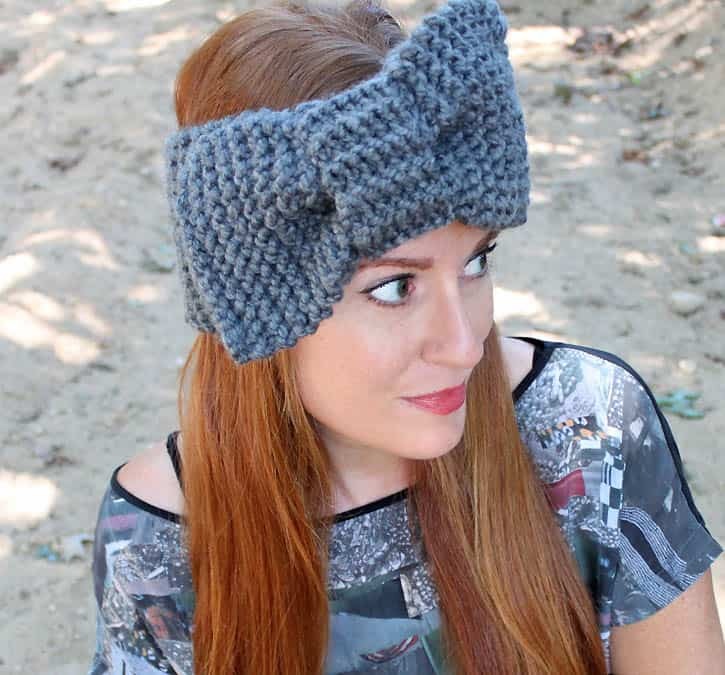 This only takes a few hours to make and it’s perfect for keeping your ears warm when the cold weather hits! Cast on 13 sts. Work in Garter Stitch (knit each side) until piece measures 20 inches. Bind off and sew the seam closed. Cast on 13 stitches. Work in Garter Stitch until piece measures 9 1/2 inches. Bind off. Cast on 7 sts. Work in Garter Stitch until piece measures 8 inches. Bind off. Position bow on front of headband. Place the band over the headband and bow and sew in place.